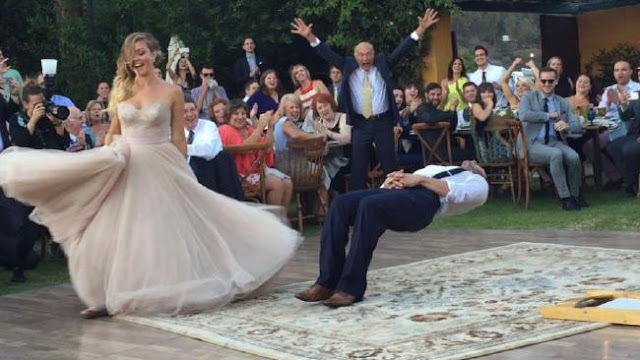 Groom Justin Willman and his Bride Jillian Sipkins put on an amazing and magical wedding dance for their guests. The couple wanted to create a parody of of the show Drunk History to tell the story of their relationship. Justin is a magician and there was definitely some magic tricks in this dance which included a gravity defying move. Their wedding took place in Malibu California on September 6th 2015. The dance was choreographed by Sebastien Stella and the song they danced to is "I put a Spell on You" by Screaming Jay Hawkins.